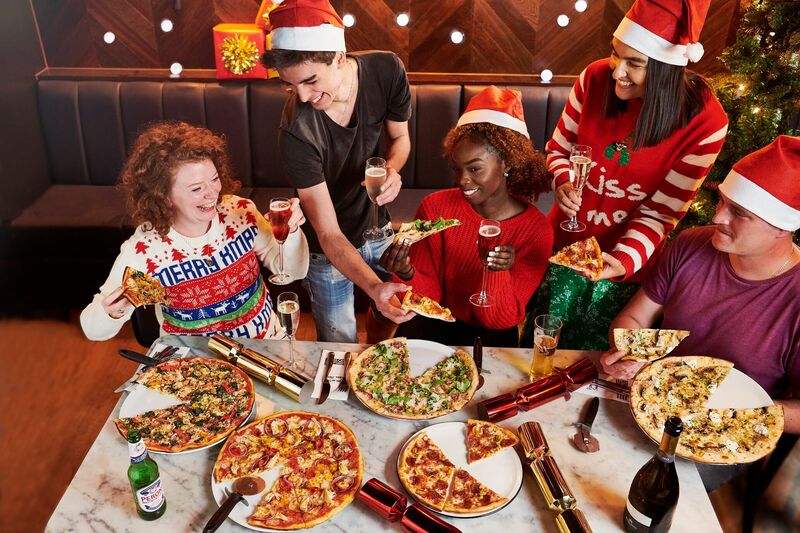 There’s a party going on at PizzaExpress this Christmas. A celebration! A chance for you to gather around our table with friends, family & colleagues and celebrate the good times over great food. From exciting new menu additions to the nation’s favourites making a comeback, there’s no celebration like this. We’ve got plenty of Christmas specials to dazzle and delight – will you try our PizzaExpress twist on Pigs in Blankets? Our new festive pizza, La Festiva, topped with succulent pulled turkey and festive stuffing? Or enjoy the Snowball Dough Balls, our famous Dough Balls dusted with cinnamon and served with your choice of fruit coulis, salted caramel or vanilla cream dip. But don’t worry if you want to enjoy your favourites from the main menu, they’re all available too! Check out the new menu Here!